If you want to get into mobile development, Swift is one of the big languages to learn. Read on to get started with this cool language! In this Swift tutorial, I am going to introduce you to some of the basic concepts of Swift. But, before moving ahead, I would get you guys familiar with "What is Swift" and how can you install Swift on your system. So, let's get started now! Swift Tutorial: What Is Swift? Swift is a programming language which adopts the best of C and Objective-C and is developed by Apple, Inc. for iOS/OS X development to run on many existing iOS and OS X platforms. To use Swift, you need Xcode software to run your Swift code in the Playground, and, once you are comfortable with Swift, you can use the Xcode IDE for iOS/OS X application development. So, assuming that you have an account with the Apple Developer website, you just have to go to Download for Apple Developers. Once you go to the link, select the latest version of Xcode available and download it by clicking on the given link near the disc image. After downloading the dmg file, you can install it by simply double-clicking on it. Alright! 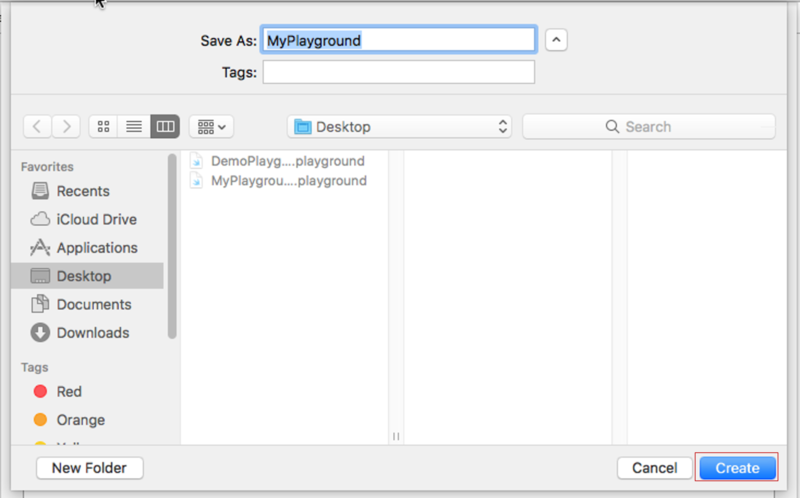 So, once you have your xCode, just double-click on it to open and then go to File -> New and choose Playground. Then choose iOS and mention the playground's name. Once you are done with that click on Create. So, now that your playground is ready, let's get started with some coding! So, initially let's start with basic syntax and then let's write a hello world program. Tokens - A token is either a keyword, an identifier, a constant, a string literal, or a symbol. Semicolons - In Swift you do not have to type a semicolon (;) after each statement in the code. Only in the case of using multiple statements in the same line, a semicolon is used as a delimiter. Keywords - Keywords are reserved words in the coding languages which may not be used as constants or variables or any other identifier names unless they're escaped with backticks(`...`). Literals - A literal is mainly the source code representation of a value of an integer, floating-point number, or string type. So, a literal can be an Integer literal, Floating literal, String literal or a Boolean literal. Comments - Comments help compilers to ignore the texts which are not to be compiled. Multi-line comments start with /* and terminate with */ whereas Single-line comments are written using // at the beginning of the comment. Identifiers - Swift is a case-sensitive language and does not allow special characters such as @, $, and % within identifiers. An identifier starts with an alphabet A to Z or a to z or an underscore _ followed by more letters, underscores, and digits (0 to 9). White spaces - Whitespace is used in Swift to describe blanks, tabs, newline characters, comments, and also separate one part of a statement from another. This helps the compiler to identify where one element in a statement, ends and the next element begins. Now, that you have written your first program, let's understand more about variables and data types. var a: Int = 42 // You can also declare variable by specifying the data type. Now, let me tell you an interesting fact. In Swift, you don't have to necessarily define the data type when you declare a variable. So, suppose you declare a variable, var b = "Hi", then Swift will automatically understand that b is a String type variable, based on the input you have given. Now you can even perform type conversion or type casting. For example, you can convert the integer value to a float value and vice-versa. Alright! Now, that you guys know the basic operators, let's get started with the conditional statements. 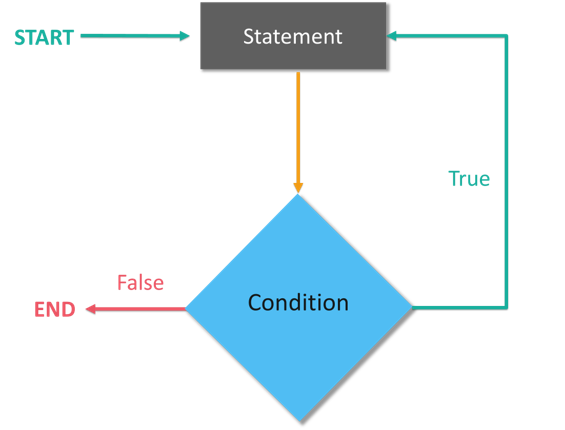 Conditional statements are used to execute a statement or a group of statements when some condition is true. There are namely three conditional statements - if, if-else, and switch statements. So, let's start with the if statement now. An if statement could be either just a simple if, or a nested if statement. 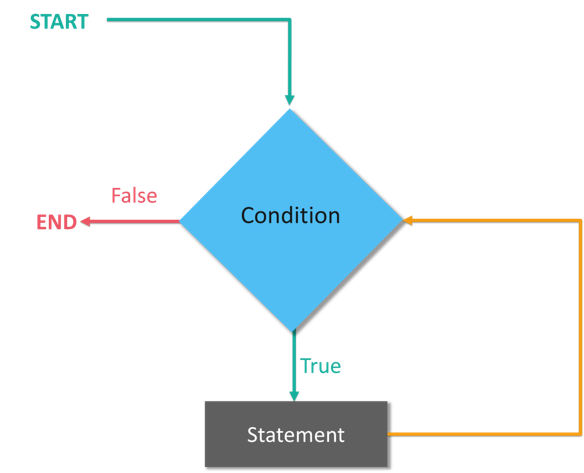 So, a simple if statement is the most simple decision-making statement that decides whether a certain statement or block of statements will be executed or not. 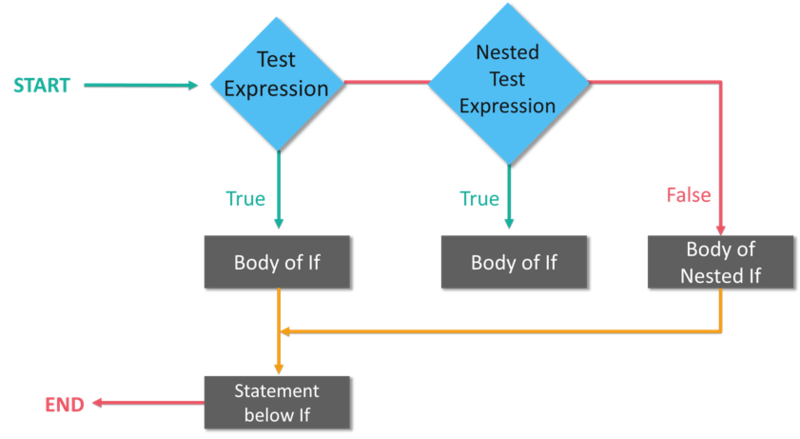 Now, nested if is an if statement or an if-else statement within an if statement. 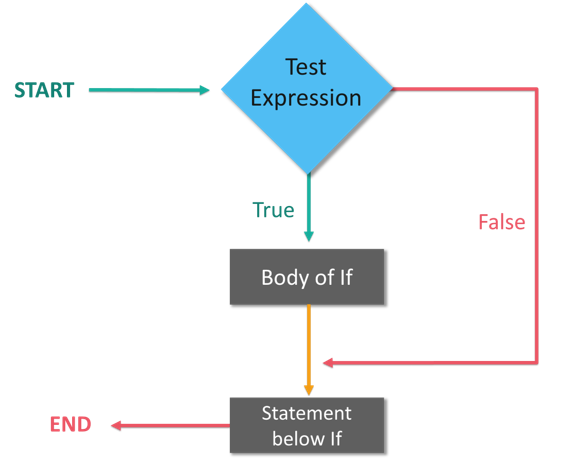 If-else statement tests the condition and if the condition is false then 'else' statement is executed. Now, you can also have an if-else ladder. So, If-else-if ladder allows the user to use many if else statements within a loop and in case one of the condition holds true the rest of the loops is bypassed. The switch statement provides an easy way to execute conditions to different parts of the code. Now, if you observe the output, even after our condition is satisfied, we are getting the next statement also printed. That's because we are using the statement fallthrough. 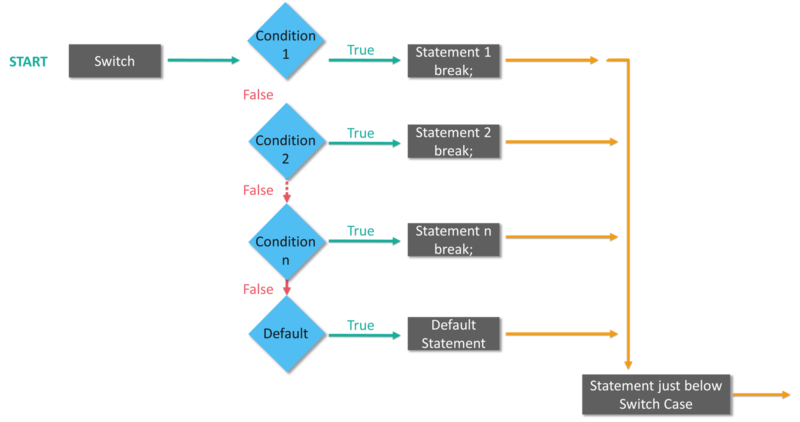 So, if you do not use a fallthroughstatement, then the program will come out of the switch statement after executing the matching case statement. Now, let's move on to iterative loops. 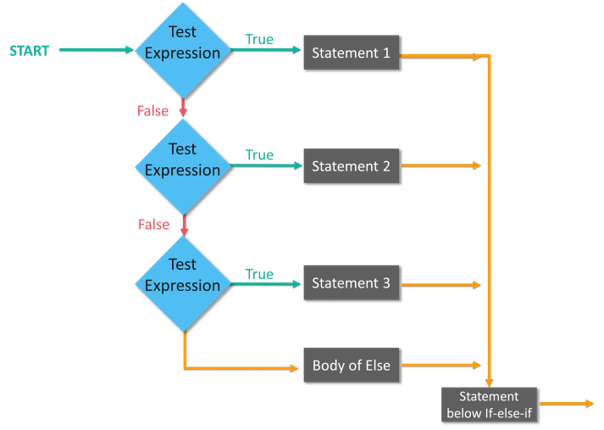 In general, statements are executed sequentially. The first statement in a function is executed first, followed by the second, and so on. There may be a situation when you need to execute a block of code several times. 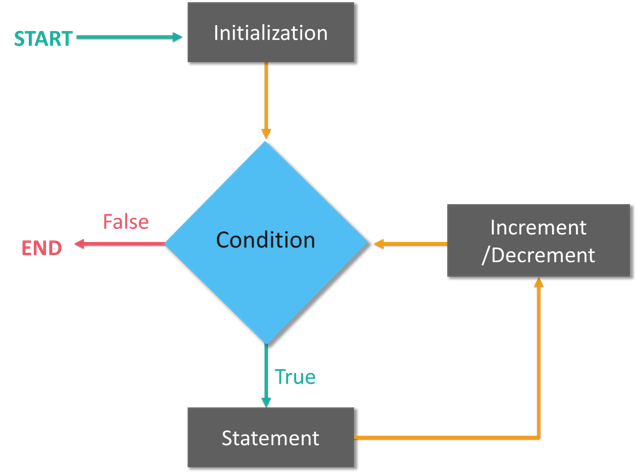 A loop statement allows us to execute a statement or group of statements multiple times. So, iterative loops are mainly for-in, while and do-while loops. The for-in loop iterates over collections of items, such as ranges of numbers, items in an array, or characters in a string. A while loop statement in the Swift programming language repeatedly executes a target statement as long as a given condition is true. Unlike for and while loops, which test the loop condition at the top of the loop, the repeat...while loop checks its condition at the bottom of the loop. Alright! That's all for loops, now let's quickly jump into Arrays and Tuples. Alright, now that you have an understanding of arrays and tuples, it's time to get started with sets and dictionaries. Sets are used to store distinct values of same types, without having any definite ordering as that of arrays. So, you can use sets instead of arrays if you want to ensure that there are no duplicate values or if the ordering of elements is not an issue. Now, let me tell you that you can also perform the set operations such as Union, Intersection, Subtraction. Union: Union of A and B is a set of all the elements from both sets. The union is performed using the .union() method. Intersection: Intersection of A and B is a set of elements that are common in both sets. 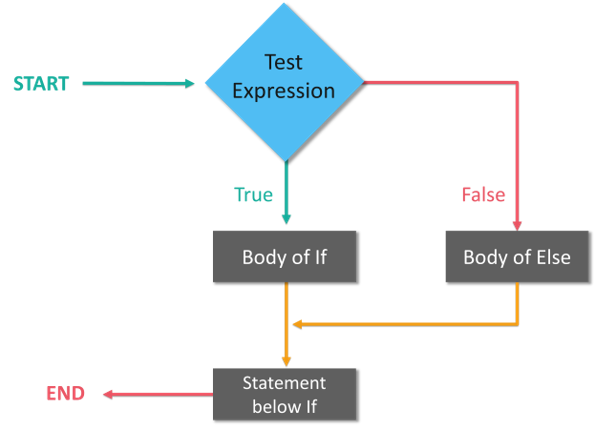 An intersection is performed using the .intersection() method. Subtracting: Difference of A and B (A - B) is a set of elements that are only in A but not in B. Similarly, B - A is a set of elements, i.e. in B but not in A.
Dictionaries are used to store unordered lists of values of the same type and Swift does not allow you to enter a wrong type in a dictionary. Consider the example below. Now, let's move to closures and structures. Closures generally confuse everyone, but they are just self-contained code, like functions organized as blocks. They can be anonymous whereas a function has to have a function name. Consider the example below. By making use of structures once, you can define constructs, methodsl and properties. Consider the example below. Now, that you have an understanding of structures, let's go over classes and inheritance. Classes in Swift are basically the building blocks of flexible constructs. So, similar to constants, variables, and functions the user can define class properties and methods. Inheritance is the process of creating new classes from existing classes. The derived class inherits all the capabilities of the base class and can add its own functionalities too. Classes can be further categorized into subclasses and superclasses. Subclass: If a class inherits properties, methods, and functions from another class, then it is called a subclass. Superclass: A class which contains properties, methods, and functions to let the other classes inherit from itself is called a superclass. Consider the example below. "Employee id is :\(id), employee phone number is :\(number)"
Extensions are basically used to add the functionalities of an existing class, structure, or enumeration type. With extensions, you can add computed properties and computed type properties, define and use new nested types, define instance and type methods, provide new initializers, define subscripts, and also make an existing type conform to a protocol. case .blue: return "Color is blue"
case .green: return "Color is green"
case .red: return "Color is red"
case .yellow: return "Color is yellow"
I hope you have enjoyed readint this Swift tutorial. We have covered all the basics of Swift, so you can start practicing!